Do BIS & HMRC care about the care sector? There was much ministerial self-satisfaction in evidence yesterday, as BIS named & shamed a further 37 employers for breaches of the national minimum wage. This brings the total number of firms named since the scheme was rebooted in October 2013 to a less than impressive 92. Or just 90, if you allow for BIS wrongly naming, so not actually shaming, two of the 25 firms it named in June last year. Or the average of £4.82 in pay owed to them, in the case of the 540 workers to whom retailer H&M failed to pay a total of some £2,600. It was this case that – no doubt to the delight of press officers at BIS and the chagrin of those at H&M – most national media chose to focus on, presumably because H&M were unlucky enough to be the first (and so far only) household-name retailer to be shamed by BIS. Never has so little been owed to so many by “time-logging errors in some stores”. Of course, household-name corporations like H&M – which, according to the Independent, made profits of “more than £600m in the last quarter alone” – could avoid the risk of such adverse publicity by paying their staff a living wage, rather than just the legal minimum. However, it was another of the 37 shamed employers that caught my eye. Ultimate Care UK Ltd, in Ipswich, became the first of Britain’s 35,000 adult social care employers (i.e. both residential and domiciliary care providers) to be named & shamed by BIS, for failing to pay a total of £613.79 to seven workers. With just 15 care staff, and having won a National Home Care Employer of the Year (< 250 employees) award in 2011, Ultimate Care are probably feeling as aggrieved as the corporate fat cats at H&M at being shamed by BIS when there are clearly a great many bigger fish in Britain’s pool of minimum wage rogues. While headline pay rates for care workers who visit clients at home are set at or above the national minimum wage of £6.19 an hour, in practice those workers often lose at least £1 an hour because they are not paid separately for the time spent travelling between appointments and because providing decent care often takes longer than the time allocated by the employer for each visit. This would mean that over the course of a year, a care worker who spent an average of 35 hours a week at work for 48 weeks would lose out on more than £1600. [We] are concerned that many employers had failed to keep sufficient records of working time to demonstrate that workers are being paid at least the national minimum wage, particularly given that non-payment of travelling time for workers in domiciliary care was commonplace [sic]. In 2011 and 2013, HMRC investigated the care sector and found that only half of care providers were paying [at least] the minimum wage. Thanks to those investigations, several companies were forced to pay care workers the money that they were owed. Now, because of the ongoing cuts to care budgets and a lack of follow-up action from HMRC, the situation has become worse. This is in part because most care workers are on zero-hours or temporary agency contracts, with the employers cutting out paid time wherever they can. A full day on the job can translate into only a handful of paid hours. In short, pretty much everyone who has considered the issue has concluded that exploitation, including non-compliance with the minimum wage, is rife in the social care sector. So why were investigations completed in relation to just 70 residential care homes in the four-year period 1 April 2010 to 31 March 2014? Why has the overall number of investigations by HMRC (i.e. not just the care sector) fallen in each of the past three years, from 1,140 in 2010-11, to 680 in 2013-14? And why does the Government say, in its recent evidence to the Low Pay Commission, that “non-compliance as a result of gross exploitation is very low”? Something’s not right here. Proactive investigations happen. 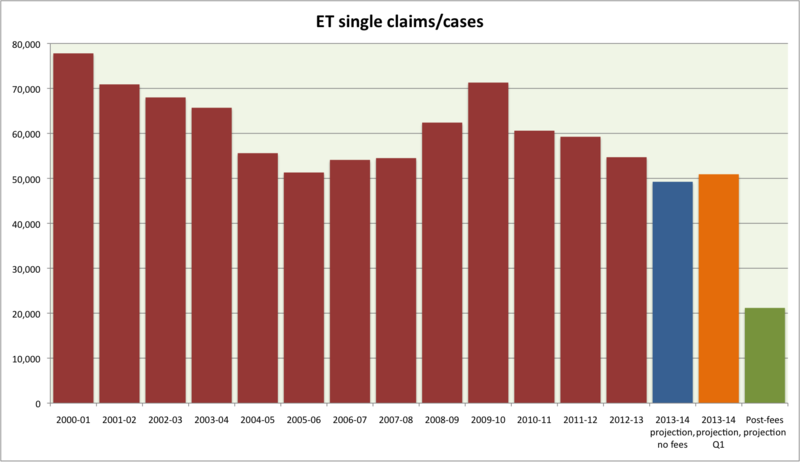 There was a particular period of targeted enforcement in the care sector, from 2011 to 2013. We recognise that the issue is important and are returning to the care sector for proactive work. That process is now under way, so more will happen. Currently, 94 employers in the care sector are being investigated for national minimum wage issues, and when those investigation conclude, we will see whether they have broken the law. If so, there are tough penalties, including naming and shaming, and we have taken steps to increase the resources available to HMRC for that vital work. Presumably, one of those 94 care sector firms is the former employer of Debra Claridge, who made a complaint to HMRC about prolonged payment below the minimum wage (due to non-payment for travel time between appointments) as long ago as November 2012, but – astonishingly – has still not had her case resolved. Ms Swinson has (laudably) made a habit of including the phone number of the Pay & Work Rights Helpline in her contributions to House of Commons debates and replies to written parliamentary questions, but it makes a mockery of the minimum wage enforcement system for those who follow the Minister’s advice and call the Helpline – as Mrs Claridge did – to then wait two years or more for HMRC to conclude its investigation and recover the arrears owed (or close the case and explain why). The £3 million increase in HMRC’s enforcement budget for 2015-16 that BIS announced alongside the naming & shaming of H&M, Ultimate Care and 35 others – an increase not to be sniffed at in these days of austerity and cuts – is clearly welcome, and will no doubt make a difference. But even £12.2 million per year is a piddling sum, given the (growing) size and nature of the challenge. The next government is going to have to do a lot more than name and shame a single social care employer. First mooted in the January 2011 BIS consultation on ‘resolving workplace disputes’, the penalty regime was presented as a key plank of the Enterprise & Regulatory Reform Bill unveiled by Vince Cable in May 2012. However, unloved both by the employer bodies and by the trade unions, the then clause 13 was the subject of some debate at the Bill’s Commons Committee Stage in July, and also at Report Stage in October, by which time it had become clause 14 (it would go on to become section 16 of the 2013 Act). “When we first proposed the introduction of [the financial penalty regime], we had thought to make the imposition of the penalty automatic when there was a finding in favour of the claimant, but we listened to the concerns expressed by business during the resolving workplace disputes consultation last year and revised our proposals to give the tribunal discretion to decide when a penalty was appropriate. Good employers—those who try to do right by their employees—have nothing to fear, regardless of their size. A genuine mistake will not be grounds for the imposition of a penalty. However, those businesses which the tribunal considers have acted deliberately or maliciously will rightly, I believe, face the prospect of a financial penalty. They will no longer be able to gain a competitive advantage over businesses that abide by their obligations. This is not some kind of revenue-raising scheme; it is about ensuring that the right incentive structure is in place by creating a further penalty for businesses that deliberately flout the law. That will incentivise the right kind of behaviour. That will be fairer on the vast majority of businesses that are good employers and that should not lose out to those employers that gain some kind of advantage by treating their employees badly. We are indeed – even those of us who are government ministers prone to make grandiose claims for their draft legislation. And it is fortunate for Ms Swinson and her Coalition colleagues in HM Treasury that section 16 of the 2013 Act was not ‘some kind of revenue-raising scheme’. Because, in reply to a written question by shadow BIS minister Ian Murray, Ms Swinson has just revealed that the number of financial penalties imposed since the regime came into force on 6 April 2014 is … none. Yep, nine months, and not a single section 16 penalty. Nada. Zip. Rien. Which could be good news, of course. Maybe the financial penalty regime has so incentivised the right kind of behaviour that there are no longer any businesses deliberately flouting the law to gain some kind of advantage over their law-abiding competitors. Rejoice! However, I doubt even Ms Swinson would claim that is what has happened. I imagine the Minister might try to suggest that the fault lies with the employment judiciary, for failing to take up the tool so cleverly crafted for them by Vince Cable, Ed Davey and Norman Lamb. But it seems unlikely that a judiciary so often criticised (mostly by employer bodies) for an alleged lack of consistency would have acted quite so … well, consistently. A far more likely explanation, it seems to me, is that the hefty, upfront tribunal fees introduced by the Ministry of Injustice in July 2013 have eradicated exactly the kind of tribunal claim that Cable, Davey and Lamb evidently had in mind when they came up with the section 16 penalty regime: a relatively low value claim (because the claimant is or was low paid) against a deliberately exploitative employer. For why would a vulnerable, low paid worker subjected to ‘wage theft’ of a few hundred pounds gamble up to£390 on trying to extract the unpaid wages or holiday pay from their rogue (former) employer? Which means that the deliberately exploitative employers supposedly targeted by section 16 of the 2013 Act are able to break the law with near impunity. And that is something that really ought to be of concern not just to Dr Cable and Ms Swinson, but to the Court of Appeal when it hears UNISON’s appeal against the High Court’s dismissal of its two applications for judicial review of the fees regime.